On March 13th, the Canadian alternative asset manager titan Brookfield Asset Management and the California-based alternative asset manager Oaktree Capital Group announced an agreement whereby Brookfield committed to acquire a majority stake of Oaktree for $4.7bn. Indeed, Brookfield will buy around 62% of Oaktree, acquiring all outstanding A shares of its publicly traded common stock and some 20% of the privately-owned B held by Oaktree’s management and employees. Brookfield offers for both shares A and B, either $49 in cash for each share or 1.077 Brookfield shares for each one of Oaktree, thus representing a 12% premium to Oaktree’s closing price on the day prior to the announcement. The deal will allow Brookfield, focused on real state, to broaden its product offering by implementing Oaktree’s state-of-the-art private credit platform. The combined company will approximately record $2.5bn of annual fee-related revenues and control $475bn of assets under management, matching the Blackstone Group in the latter category. Both companies will continue to operate as independent businesses, while Oaktree’s founder, co-chairman and distressed debt legend Howard Marks, will join Brookfield’s board of directors. About Brookfield Asset Management Inc.
Brookfield Asset Management, founded in 1899 and incorporated in 2005, is an alternative asset management company headquartered in Toronto, Canada and listed on the Toronto and New York Stock Exchange. Brookfield has been growing through a stream of 9 acquisitions, the most recent of which is that of Oaktree Capital Management in a move meant to broaden the company’s investment portfolio into debt. The company holds $330bn of assets under management (AUM) as of 2018, showing a strong increase from the last three years where AUM were $285 bn, $250 bn and $225 bn respectively. Operating in eight segments, Brookfield focuses mainly on real estate, renewable energy, infrastructure and private equity, in 30 countries and employing over 100,000 employees. The company has had growing revenues during the last five-year posting revenues of $56.77bn in 2018 with an earnings per share (EPS) of $3.59 for the same year. Oaktree Capital Management, founded in 1995 and incorporated in 2007, is an American global asset management firm specializing in alternative investments headquartered in Los Angeles and listed on the New York Stock Exchange. The company manages investments in a range of strategies within approximately six asset classes including corporate debt, convertible securities, distressed debt, control investing, real estate and listed equities. At the time this article was written, Oaktree was the largest distressed securities investor in the world and was the target of an acquisition by Brookfield Asset Management. The company manages $122 bn for its clients as of June 2018, an increase from roughly $100 bn in 2017 and 2016 and $97.4 bn in 2016, and has 18 offices worldwide employing over 900 employees. In 2018, the Oaktree posted a total revenue of $1.39bn with an EPS of $2.99. Alternative assets are those that differ from the traditional stock, bonds and cash investment options. Such assets are key to investment portfolios as the driving factors behind each asset differs to those of stocks, bonds and cash, thus providing unique diversification opportunities. The importance of these types of investments (alternatives) is clearly visible in their growth, both historical and projected. A 2018 Preqin report suggests that by the end of 2017, alternative assets under management were valued at $8.8tn with a CAGR of 12.1% growth spanning the previous 10 years and projected an annual CAGR of 8% for the following 5 years, meaning that alternative AUM will equal $14tn by 2023. In 2016, the largest bulk of alternative assets were managed by direct real estate funds (34%) followed by direct hedge funds (21%) and direct private equity funds (18%), all of which are expected to growth in future projections. Since the beginning of this century up to the financial crisis, hedge funds were the most integral growth factor of the alternatives market. Since 2008 however, unsatisfactory performance coupled with excessively high fees have led to investors looking more closely at private equity and private debt, leading to a more significant role of both of these market segments in the overall alternatives market growth. However, shifting trends are not merely limited to the funds or asset classes themselves, with investors preferences, technology and geopolitical factors all playing critical roles in a transforming industry. Investors in alternative assets are showing increasing signs of shifting from return oriented, alpha-dominated strategies (those in which performance is purely estimated in absolute returns) to more outcome based ones. The overall effect is that investors are looking for better and more customized strategies and, with capital heading to fewer and fewer firms, so players in the alternatives sectors must prepare for an increase in face-to-face access with their clientele. Thus, firms must be ready to invest in local teams and burden the costs of travel and translation. Technology can play a key role in this sector as well. The finance sector as whole is seeing a rise in the relevance of artificial intelligence and automation, yet the highly specialist nature of the alternatives market has made it more resilient against such factors. Nevertheless, technology can play a major role in reducing costs (and, through that, fees) in practices such as distribution and marketing. Fees charged by most alternative managers have been declining to retain existing clientele and attract new investors against a backdrop of passive investment funds charging much lower fees. However, with rising cost in technological investments, the fee structure of most funds will likely remain the same, at least in the near term. On March 13, 2019, Brookfield Asset Management Inc. entered into an agreement with Oaktree Capital Group, LLC, to acquire 62% of Oaktree’s business. Brookfield will be acquiring all outstanding Oaktree class A shares for $49 cash or 1.0077 Brookfield class A shares, representing a 12.4% premium over Oaktree closing price on March 11, 2019. The transaction will be financed with 50% cash and 50% Brookfield shares. Moreover, Brookfield will purchase 20% of all outstanding Oaktree class B shares held by founders, senior management and current employees will the same consideration as Oaktree class A shares. Commencing in 2022, further Oaktree class B shares will become available for purchase by Brookfield if choses to, following an agreed upon liquidity schedule suggesting 100% ownership of Oaktree by Brookfield as early as 2029. The cash portion of the transaction will be funded by available Brookfield liquidity, resulting in an immediate ownership of 62% of Oaktree’s business with the conclusion of the transaction. The deal represents a bet by Brookfield to diversify by investing in private debt, which makes up around 70% of Oaktree’s assets under management. The deal is not driven by cost synergies, but rather by how the industry is gathering record sums of assets and how institutional investors are allocating an increasing amount of capital to fewer firms with wide range of products. With this transaction, Brookfield becomes a one-stop-shop in which institutional investors can choose between several investment opportunities, ranging from elite real estate investments, infrastructure, private equity to top-notch distressed debt. Oaktree gets a stronger financial position, a lesser exposure to the public market and retains the ability to run the business independently. Oaktree is a highly respected firm known for its distressed-investing expertise, however during its time listed on the NYSE, it has consistently clashed with a bull market. Indeed, its stock has climbed 61% from its 2012 initial public offering through Tuesday’s close, compared with a 133% rise for the S&P 500. Moreover, in December 2018, Oaktree’s assets were of $120bn, that is only 5% more compared to 2015 levels. By contrast, assets for Blackstone Group, the largest publicly traded private-equity firm by assets, climbed by approximately 40% over that period. Overall, it’s a pretty disappointing record for the U.S. company that claims that public market investors misunderstand private equity groups in general due to their inability to generate steady results. The management teams of the largest alternative asset management groups believe that their companies are being undervalued by the market despite an increasing appetite for alternative investments such as private debt and real estate. Private capital funds have raised nearly $5tn since 2012, according to Preqin, despite money managers struggling to deploy it. Last month, Apollo Global Management’s founder Leon Black said “We like to say that we have built a unique platform which encompasses value, growth and yield and the market doesn’t get it… There is a disconnect with the market”. Therefore, if we believe that Oaktree is being undervalued by the public market, the 13% premium offer by Brookfield seems to be very attractive for Brookfield, and quite disappointing for Oaktree on the flipside. In contrast, Brookfield has been performing positively, posting a 21% annual return since 2009, that is doubling the gain of the S&P/TSX Composite Index, Canada’s main equity gauge. Canada’s largest alternative asset manager is regarded as a safe bet by investors due to its vast real estate holdings, including the joint ownership of London’s Canary Wharf with Qatar’s state investment fund, as well as its strong financial performance. Following the announcement on March 13th, Oaktree rose around 12% to $49.14 per share, the biggest gain since the company went public in 2012. 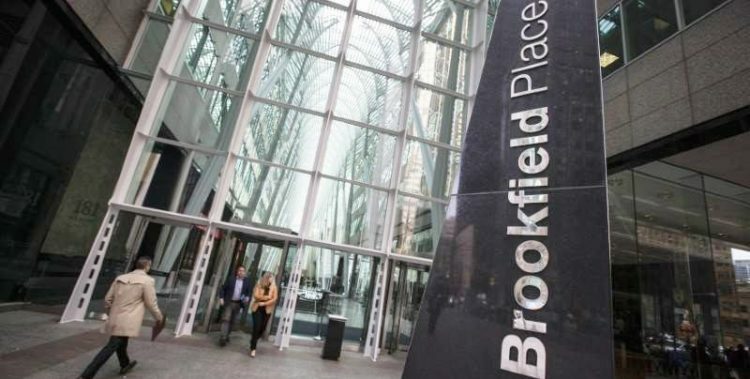 However, the Brookfield’s shares, that have been performing particularly well for the past years, presented little change after the announcement. Perella Weinberg Partners L.P. acted as sole financial advisor to Oaktree. Sandler O’Neill & Partners, L.P. acted as sole financial advisor to Brookfield.